Home » Oracle Apps DBA • Oracle DBA • Oracle Fusion DBA » Virtual Cloud Network Local Peering in OCI !! 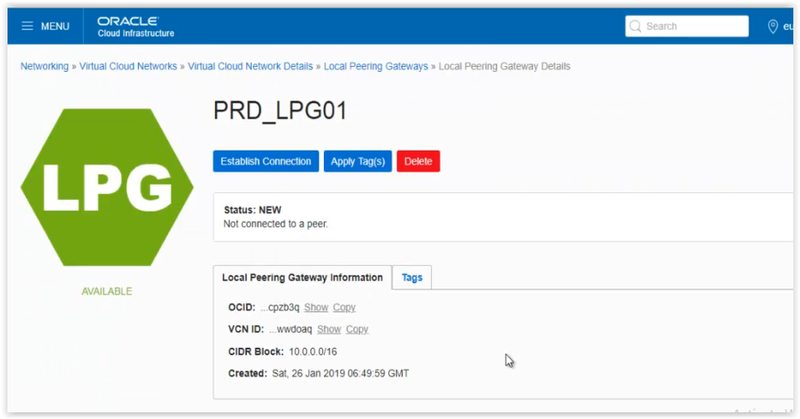 In today’s post will see VCN Local peering. 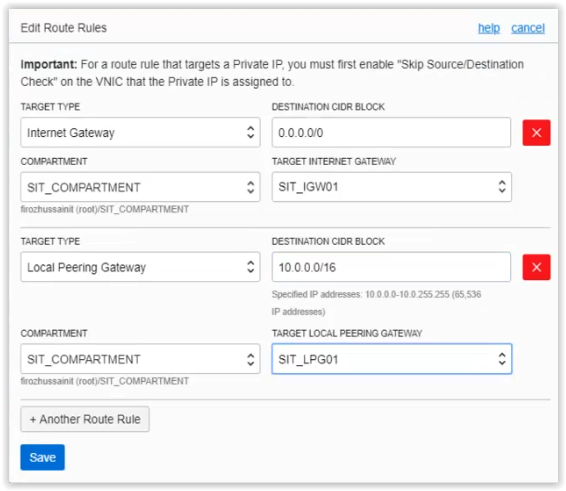 Now, by default the two instance prd-instance01 and sit-instance01 will not have communication as they are in a different compartment, different VCN, different subnets. 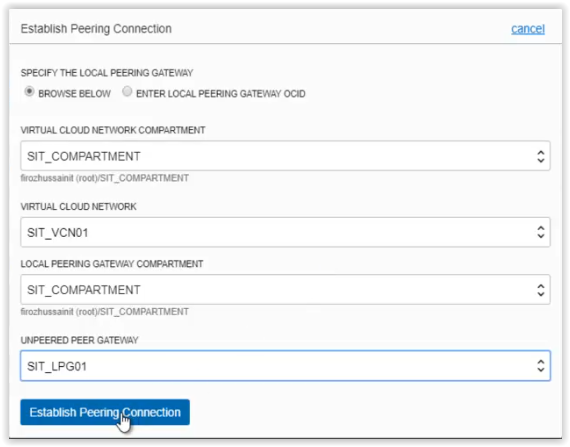 So, with the help of VCN Local peering concept, we will able to achieve the communication b/w the two instances which are in different compartments. 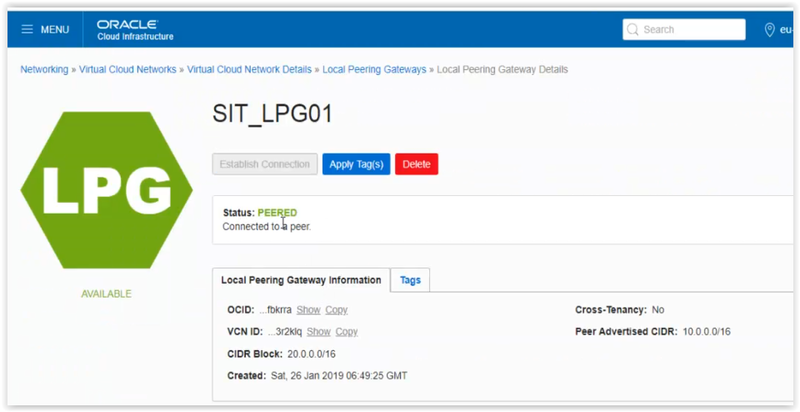 Create Local Peering Gateway in SIT_VCN01 (which is in SIT_COMPARTMENT). 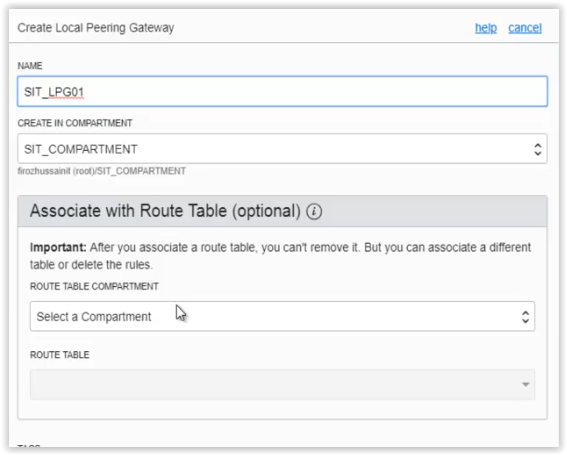 Create Local Peering Gateway in PRD_VCN01 (which is in PRD_COMPARTMENT). Check from both instance, they are able to communicate each other or not. 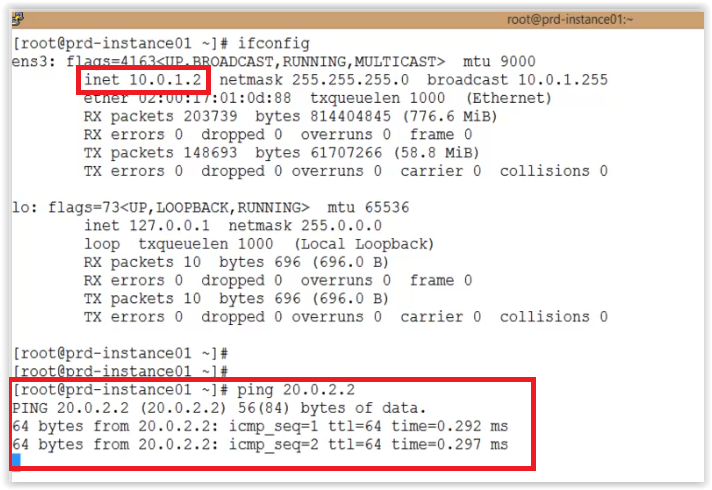 Creating Local Peering Gateway in SIT_VCN01 in SIT_COMPARTMENT. SIT_LPG01 Local peering gateway creates successfully. 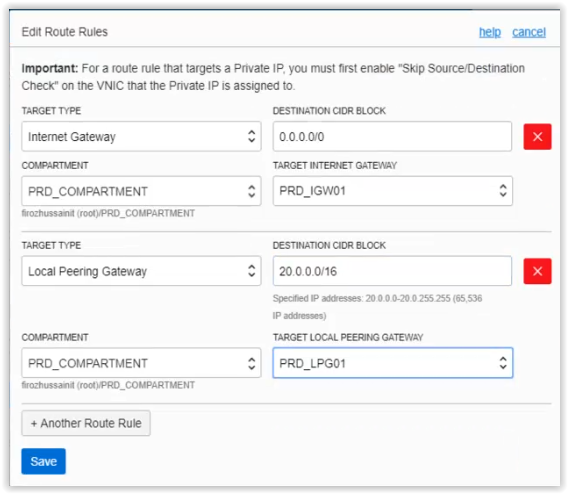 Going to PRD_COMP_VCN01, create a Local peering Gateway. 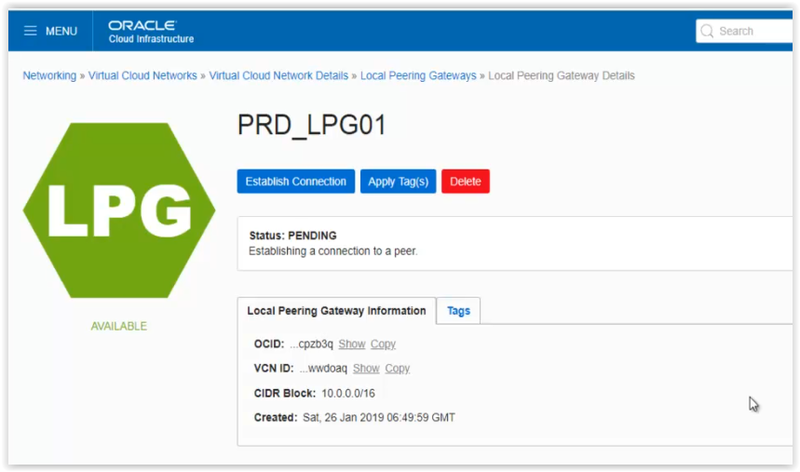 PRD_LPG01 Local peering Gateway created successfully. Added successfully PRD_LPG01 in the route table, please save the information. Adding SIT_LPG01 Local Peering Gateway to the Route table of SIT_VCN01. 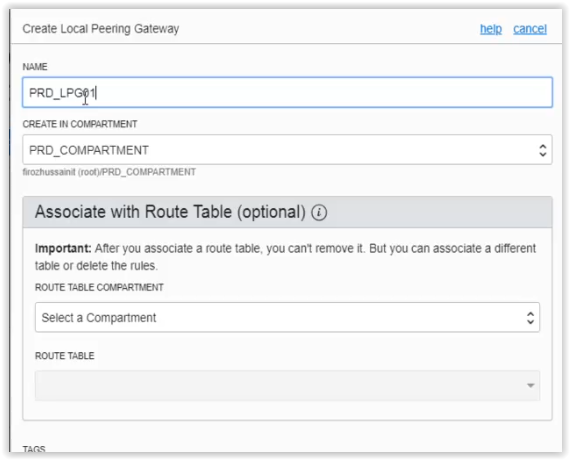 Now, go to PRD_LPG01 Local peering gateway and peer with SIT_LPG01. If you go and see the SIT_LPG01 it will also show status as PEERED, there is no activity to do at SIT_LPG01. Add the below security rules in the security lists of SIT_VCN01 and PRD_VCN01. 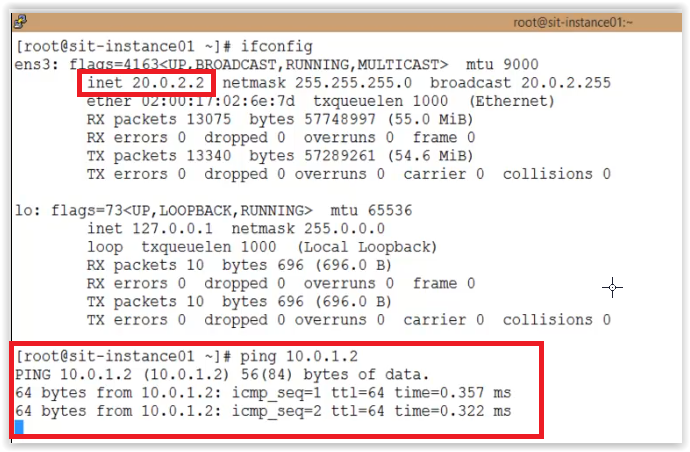 Now check the connectivity from both the instances it should have to communicate successfully. Hope this post find’s you well!! Any queries please let me know in comment box. 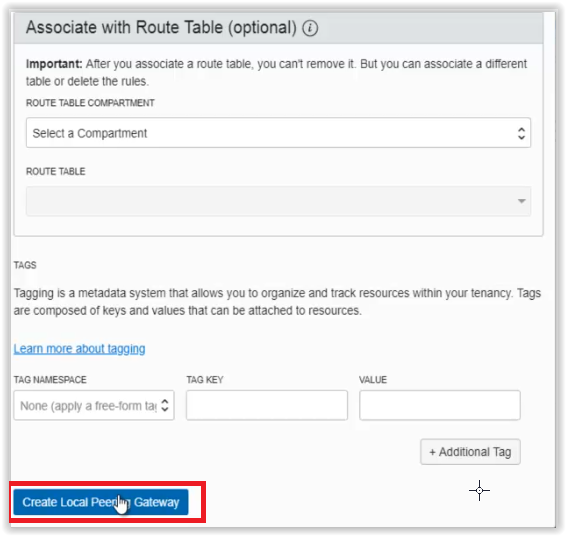 OBIEE Installation Part 5(Oracle Traffic Director Installation) !! OAM server Coherence node fails to join the Coherence cluster !! 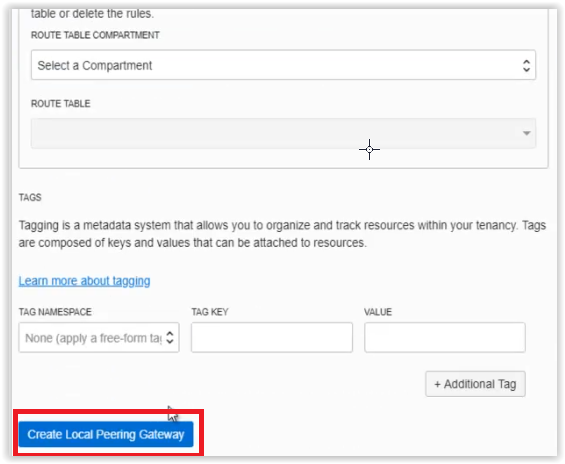 Oracle Webtier 12c Installation and configuring privileged port 80 !! Thanks for the wonderful post i have successfully executed it. Thank you and Appreciate it ! !